Adult Swim has announced their plans for Comic Con, including the list of shows that will be featured in panels, and the list of talent set to appear to talk about their related series, including Rob Corddry, Ken Marino, Paul Scheer, Jackson Publick, Doc Hammer, Seth Green, Patton Oswalt, Amy Sedaris, Eric Andre, Hannibal Buress and others. 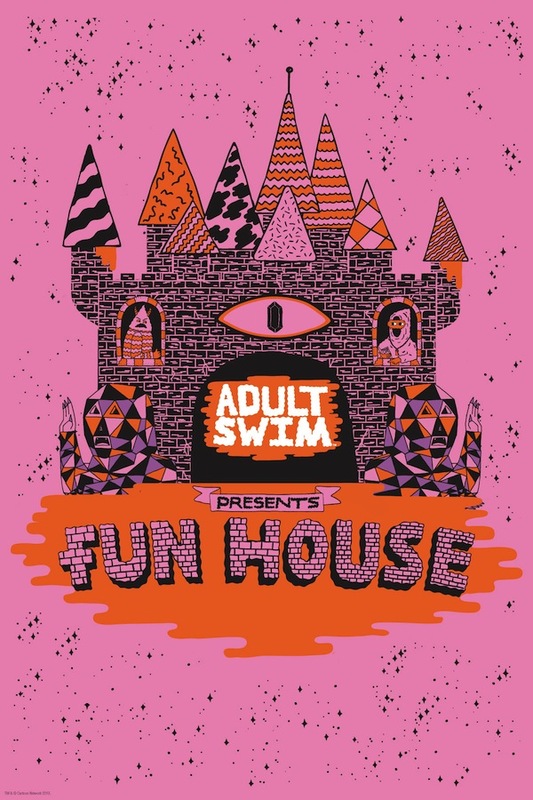 Also on the menu for Adult Swim fans is the Adult Swim Funhouse, which will offer viewers a chance to wander through a themed funhouse for the chance to earn themselves a t-shirt. We'll get to the Funhouse in a minute, first, the panels. Set to be featured in panels at Comic Con in San Diego next month are The Venture Bros., Childrens Hospital, NTSF:SD:SUV, Robot Chicken, Aqua TV Show Show, Squidbillies, The Eric Andre Show, The Heart, She Holler, China, IL and sneak peeks of other new and upcoming series on deck for Adult Swim, including Morty, Hot Package, King Star King and Mr. Pickles. Below is the schedule for the panels. Specific times and room locations have yet to be announced, but if memory serves, Adult Swim spent a lot of time over at the Indigo Ballroom at the Hilton Bayfront in previous years, so that might be where fans can expect to find at least some of those panels this year, though we'll have to wait for official confirmation to know for sure. Back to the mentioned Adult Swim TV Funhouse, which will make its official grand opening at SDCC, "to the delight and confusion of attendees." 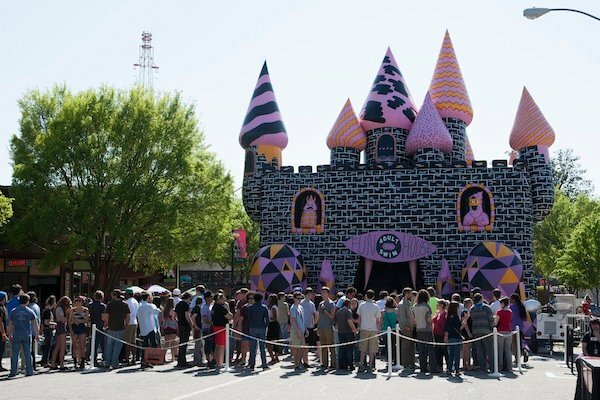 Adult Swim says the magic castle be set up in the Petco Park parking lot, just over the footbridge across from the convention center. Fans will be able to enter the world of Adult Swim and lose themselves within the 10+ rooms. Guests will face multiple paths and challenges as they crawl, dance and sing their way to the end, where they'll receive an Adult Swim Funhouse custom live screen printed t-shirt. Because getting free stuff is part of what we brave the lines for, right? Free for fans, tickets will be distributed at the Funhouse each day starting at 4:00 p.m. and will be openThursday, July 18 – Saturday, July 20 from 5:00 p.m. - 10:00 p.m. each night. With Adult Swim announcing their line-up of events, hopefully this means we'll hear from Cartoon Network on what they have planned for SDCC as well! Keep up with our SDCC coverage here.